1) A large container with sides such as a kiddie swimming pool, a refrigerator box, or a large (and I mean large) plastic container. I upgraded last year and bought a small animal trough that is about two feet high and about 4 1/2 feet long. I've used this for two seasons already and I hope to get goats later on, so I'll already have that item covered. 2) A brooder lamp with a red infrared bulb. You can use a clear bulb, but the red are suppose to keep the chicks from pecking at each other as much, because they can't see all the little things that make them so curious! I'm not sure how they compare since I've always just used the red bulb. 3) Some type of bedding material to go on the bottom. Do NOT use newspaper. Chicks will slip around and have developmental problems with their legs. Some people use wire mesh, but I like Kay-Kob. It is an all natural product made from corn cobs and I think it works well even though the chicks tend to get it in their waterer and feeder. But you'll be checking your chicks several times a day anyway and you can empty it then if necessary. I'm sure your local feed store has some other alternatives if you ask. Just explain what you need it for and they should give you some suggestions. 4) A chick feeder and waterer that is appropriate in size. 5) A cover. I use aviary wire because it allows for ventilation and keeps the cats out. However, you'll need to attach it in some way. I used wood clamps in the photo above, but I've also used 2 x 4 boards. 6) A thermometer. You'll need to monitor the temperature closely for the first couple of weeks. Chicks must be kept at 95 degrees for the first week and then you can start to drop the temperature by 5 degrees every week. Now I have found that the chicks love to peck at the red bulb on the thermometer (they broke it one year!) so if you can't keep it away from them, just monitor their behavior. If they are cheeping loudly, like they are stressed, and they are huddled together under the light, then they are cold. If they are as far away as they can get from the light and staying there, then they are hot. If they are moving around randomly or sleeping somewhat randomly, then they are fine. We usually place our brooder in the garage, but if it is really cold and the chicks are really young I bring it inside till they are a little older. Again, be sure that you acquire your supplies before hand because often the feed store will be out of one of the items you may need. It's crucial to have it all ready so that when your bring your chicks home, or they arrive in the mail, you can get them warm as soon as possible. We'll have more chick talk soon. In the meantime, go get your items ready! I recently stumbled upon a great Kitchen Garden Planning tool that was easy to use, full of helpful tips, and free! At Gardener's Supply Company you can create as many beds as you can imagine in your head. Their Kitchen Garden Planting Map allows you to select from 30 vegetable groups by just clicking the item and dragging it onto a grid. After filling and arranging the bed to your desires, you can then access a completed bed with helpful information on each type of plant. If you read through the hints, you'll know if you want to move anything around or change out various plants. When done, you can print it up or send it to your email account. The Planning tool is based on a 3' x 6' raised bed, but you can ignore squares if your bed is smaller or create two if it is larger and add them together later. Other helpful items on the site include a Vegetable Encyclopedia and Zone Maps. If you live out west, you'll want to use the Sunset Gardening Zone Maps instead due to the multitude of micro-climates that exist. Just checking out the one on Gardener's Supply has my area in the wrong zone, so I'm sure others in the west are not all that accurate as well. Under the step-by-step planting guide is a very helpful little calculator for the amount of soil you would need for a raised bed. This soil calculator would be great for anyone wanting to amend a bed with compost or other material as well. Just add the dimensions of the area including depth and click the button. It gives you amounts in bags, cubic feet, and cubic yards (for bulk). I could have used this years ago! My math isn't that great when standing at the nursery with kids asking me questions at the same time! If you've been gardening for years, this tool might not be all that helpful. But for beginners, it sure helps simplify things. I don't need a bunch of costly mistakes and I certainly prefer to spend more of my time outdoors! Gotta run... suns up! I ordered seeds today. Yes, the garden bug has hit. It may still be 30 degrees every morning, but in a couple of months, it will finally be warm enough to actually plant something in the ground. So in the meantime I'm planning and getting my beds ready. Something about a Victory Garden has always appealed to me. Perhaps it's a pioneering spirit that I've inherited from my kin-folks. I kind of like the idea of being a bit self-sufficient (or perhaps a better way of putting it would be "less dependent"). I think most people today just assume that food will always show up at the grocery store looking oh-so-perfect with every produce item available year round (even if it really isn't in season locally). I could literally blog on and on about my opinion of getting our food from afar, but that isn't what I wanted to address today. Victory Gardens started showing up during WWI and II when national resources were being diverted to the troops and the government began encouraging families to grow their own produce. It was considered a national duty and allowed everyone, even children, to participate in the war effort. (Today, I fear most Americans think their participation in the War on Terror is paying their taxes.) In some areas, families planted their own gardens while in others, where space was limited, community plots were planted and tended. I can imagine all the sharing of ideas and tips that went on back and forth between neighbors as they combated pests, watering issues, and plant varieties! What a great avenue that would be for people to develop relationships in our society that is so technologically based that we only interact through some form of media and where communities are often just places where we go home to sleep. Now my ambitions often outweigh my resources or capabilities, so I am going to go small this year and plant only a few items that are favorites in our family. I figure that if I keep it manageable, I'll gain confidence and learn a few things along the way. Also, it won't be so expensive. Seeds sound cheap until you start buying a dozen packets or so! I'm sticking to heirloom seeds because they tend to be hardy, disease resistant, and packed with vitamins, phytonutrients, and flavor. Also, if you are buying from a reputable source there should be no chance of getting some genetically modified seeds. 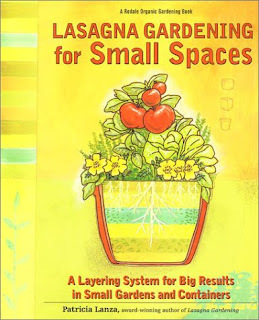 I've been reading Patricia Lanza's book Lasagna Gardening for Small Spaces where she shares her technique for building garden beds by layering different kinds of planting mediums such as compost and peat moss on top of thick sections of newspaper. The idea is that the newspaper attracts earthworms (they love the stuff) and they'll begin working the soil for you. Before the newspaper naturally breaks down, it blocks light so that weeds die and don't come up. Hopefully, this technique, along with a limited number of plants, will allow me to be successful enough to keep it up year round. Now that would be VICTORY! Want to perk up a fruit salad a bit? This quick recipe is free of refined sugar and adds a special touch to your salad when serving it for company. Plus, it helps keep the fruit from turning brown. As simple as it is, everyone always comments on the salad when I use this dressing. I haven't tried it as a marinade, but it might work well on chicken. 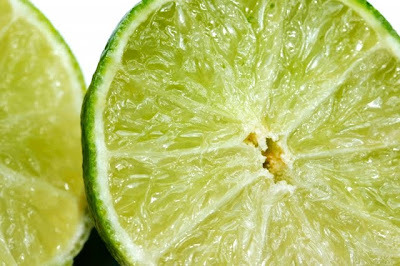 Place all ingredients in a small jar with a lid and shake vigorously. *Be sure to use the pineapple in your salad! Spring must be closer than I think. Chicks arrived at my local feed store this week and it caught me totally off guard. Already? Never mind that it is still in the 20's every night! Soft, fluffy, and peeping every so often. How could I resist? I had already been planning to add to my current flock of hens, so I plunged right in and added 6 more. Too bad zoning ordinances in my area kept me from bringing home more! This is our third year to raise chicks and keep hens and I often wonder why I waited so long. Besides acquiring the freshest organic eggs in town, I just get a lot of pleasure watching them as they do their chicken thing. It's very pastoral and calming for me. I've even been tempted to sell River Rock Cottage and move to another area in our mountain community that doesn't limit livestock. However, I love my home and keeping the flock small is probably what allows me to enjoy them so much. Chickens produce eggs and plenty of poop which is excellent for composting to make a great organic fertilizer. Why buy the stuff when you can make your own and know what's in it? You'll want to keep them in a run or you'll have poop everywhere, but if you don't mind, go for it. Another great thing about chickens is their love for foraging and eating bugs. Grant it, they'll eat the good bugs, too, but you can always buy a few more lady bugs at the nursery. That's a lot safer than killing off the unwanted pests with pesticides. I let my hens run most afternoons for 2-3 hours to forage, but I have to keep them out of the garden. I figure if they are working on the pests around the outer edges, less will make it into my vegetable plants. If you're just starting out, don't assume this is a cheap endeavor. Depending on what kind of hen house you construct, it could get quite expensive. However, in the long run, you should not only break even, but turn a very small profit. With and average of 5-6 hens at a time, we have enough eggs for our family and a few to share except during the coldest months of the year when we have just enough to keep us from running to the store. In fact, I don't think I've bought eggs for over two years! Organic feed is more expensive, but so are organic eggs! Soon I'll be talking about tips and ideas for building a brooder for new chicks. In the meantime, why don't you check out the hen cam over at Chicken Keeping. And if you're in the mood for reading about chickens, a couple of my favorite books to introduce you to the world of chicken life are Keep Chickens by Barbara Kilarski and Living with Chickens by Jay Rossier. And if you decide to take the plunge and raise chickens, you'll need a more comprehensive book such as Storey's Guide to Raising Chickens by Gail Damerow.